People lose things every day, although most of us don’t lose nuclear bombs, shipping containers, ships, cities, or spaceships. Indeed, it’s hard to imagine how anyone could misplace or lose such items. But, as these 10 astonishing lost and found objects indicate, it happens. Early pioneer Jack McQuesten (aka “The Father of the Yukon”) helped to establish trading posts for gold prospectors who went north in the late 1800s. 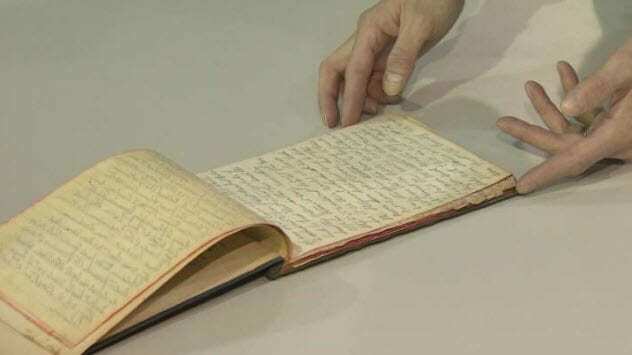 His handwritten journal, thought to have been destroyed in a 1967 Dawson City fire, was found by Dawson resident Ralph Troberg while Troberg was examining the contents of boxes left to him by his late father. The journal chronicles McQuesten’s life during 1871–1885, the years he spent in the Yukon. Although the journal was published as a book in 1952, the journal is significant because it is unedited. McQuesten equipped prospectors with the supplies they needed, including food and clothing, all on credit. They could pay him, he said, when they struck pay dirt. His journal is now in the Yukon Archives in Whitehorse, Canada. 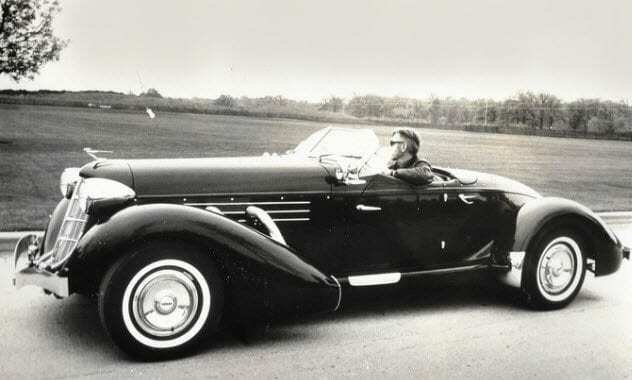 To secure the funds to purchase defunct automobile manufacturer Auburn Cord Duesenberg in 1960, high school shop teacher Glenn Pray from Tulsa, Oklahoma, sold his prized 1937 Cord 812 Supercharged Convertible Phaeton, which he’d restored with his own hands. Jimmy Leake, a local television station owner and car collector, bought Pray’s Cord for $8,000 and sold it in 1962. In 1968, Pray and a friend sought to locate his beloved Cord but without success. Pray died in 2011. One day, his son, Douglas, who’d inherited his father’s business, received a telephone call from a Michigan man. He owned the Cord that Glenn had sought. It sat in a barn, untouched, as it had for the past 45 years. The Michigan man wanted to sell it if Douglas was interested. The paperwork checked out, and Douglas paid six figures for his father’s beloved vehicle. The car was back home in Tulsa but not for long. Douglas decided to sell it again and invest the profits in his business. The Cord was offered for sale through the Leake Collector Car Show & Auction, operated by Jimmy Leake’s descendants. But Douglas plans to buy it back again someday. In June 2016, a man borrowed his buddy’s BMW so he could drive to a Stone Roses concert at Etihad Stadium in Manchester, England. 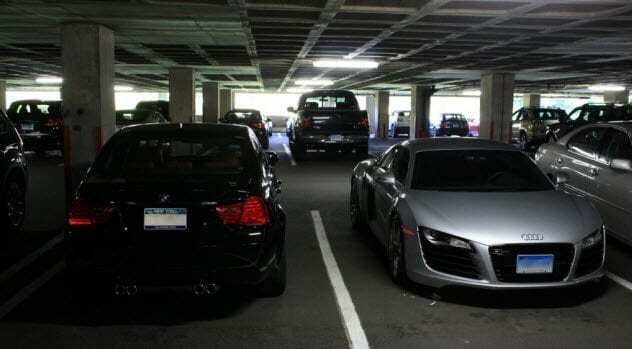 He parked in a parking garage. After the concert, he forgot in which garage he’d parked. He searched and searched to no avail. After five days of hunting for the missing BMW, he gave up. Two months later, the car’s owner, after emailing local businesses and the police, reported his vehicle as lost or stolen. Police found the lost BMW. They estimate that the owner owes about $6,150 in parking fees. In 2016, Sean Smyrichinsky thought he’d found a UFO while hunting for fish during a dive near Haida Gwaii, an archipelago 80 kilometers (50 mi) west of British Columbia. Instead, it’s likely that he found a “broken arrow,” the code name for accidents that involve US nuclear weapons. 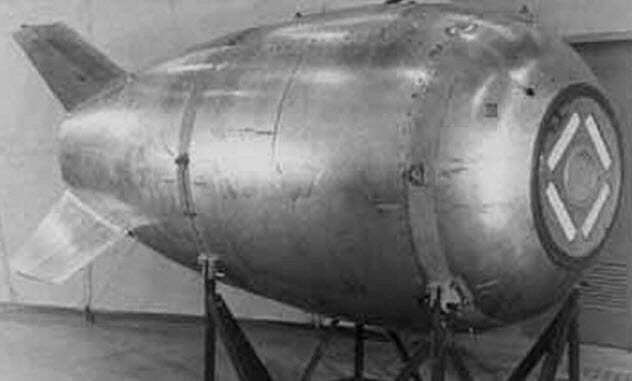 On February 13, 1950, a pilot may have abandoned the Mark IV—a 5-ton, 3-meter-long (10 ft), blimp-shaped nuclear bomb—before his plane, a B-36 bomber, crashed in British Columbia, Canada, during a training flight. The Canadian navy will investigate the matter to determine whether the bomb poses a threat and whether it should be retrieved. Eastern Airlines Flight 980 was approaching El Alto Airport near La Paz, Bolivia, when it crashed on January 1, 1985. At an altitude of 4,000 meters (13,000 ft), El Alto is the world’s highest international airport. None of the 29 people aboard the Boeing 727 survived. 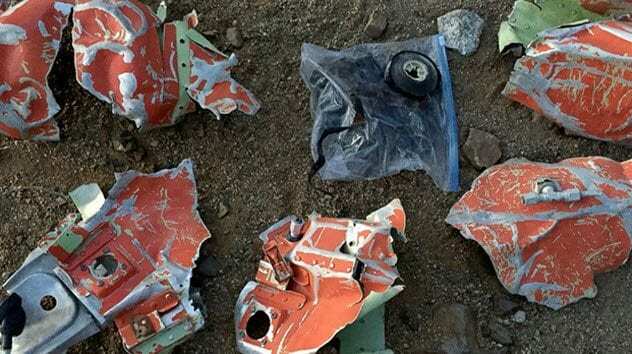 The flight recorders were irretrievable because of the inaccessible crash site. In May 2016, Dan Futrell and Isaac Stoner, both of Boston, recovered the aircraft’s flight recorders at an altitude of 4,900 meters (16,000 ft) as they were climbing Mt. Illimani. Since the nation in which an airplane crashes is in charge of any investigation, the US National Transportation Safety Board (NTSB) needed Bolivia’s permission to analyze the flight recorders’ tapes. Once permission was granted, Futrell and Stoner turned over the remnants of the flight recorders—mangled orange metal and a spool of magnetic tape—to NTSB investigator Bill English, who sent the materials to the NTSB’s laboratory in Washington, DC. The results of the analysis have not yet been determined. 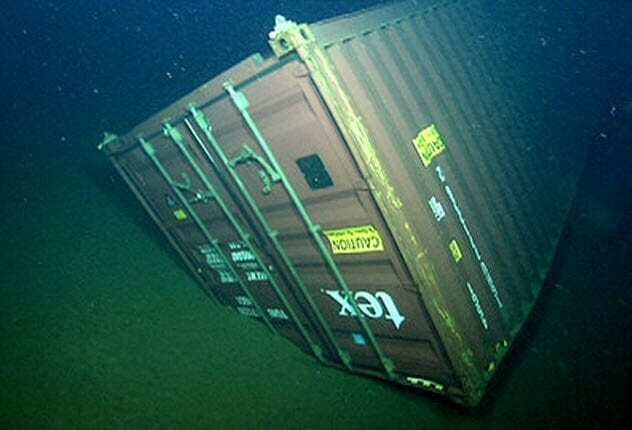 A lost shipping container at the bottom of the ocean has become the object of a scientific study to determine what effect its presence may have on sea life. As many as 10,000 such containers are lost at sea each year, for which cargo ships collect insurance. Marine biologists have discovered that the 12-meter (40 ft), upside-down container has become a habitat for sea snails and the crabs that feed on the snails’ eggs. The container was spotted when biologists aboard a ship scanned the seafloor with a robotic submarine. Scientists are unsure how the presence of thousands of shipping containers lost along sea-lanes might affect sea life. But they are concerned that the containers could attract invasive species that move from “one coastal harbor to another,” biologist Andrew DeVogelaere said. 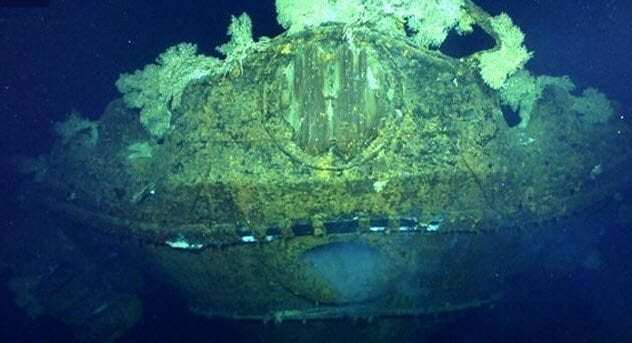 Billionaire Paul Allen, a Microsoft cofounder, funded the search for the Musashi, a World War II Japanese battleship. At the time of its construction, the ship was the biggest, heaviest warship ever built. It took 17 bombs and 19 torpedoes to sink the battleship. Almost half of its 1,023 crew members perished when the ship sank during the Battle of Leyte Gulf, Japan’s biggest maritime defeat. Although Allen’s team explored the lost vessel, they treated it with respect as a war grave site. Rumors of a lost city called variously The City of the Monkey God and La Ciudad Blanca (“The White City”) turned out to be true. 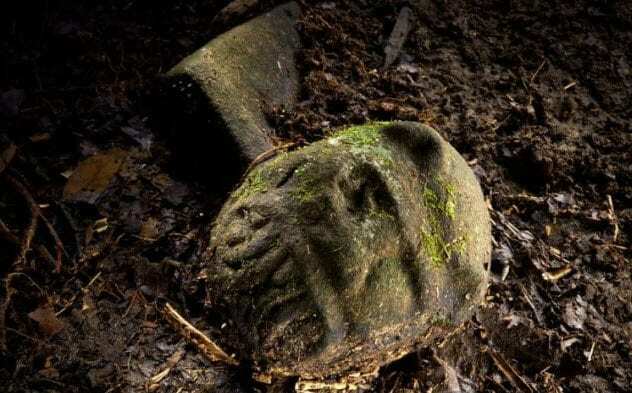 An expedition visited a remote, still-secret location in a Honduran rain forest and reported that the lost city did, in fact, once exist as did the civilization of which it was a part. Light detection and ranging (LIDAR) technology, which helps to determine terrain by emitting laser pulses that reveal land forms and other objects hidden below foliage, allowed the city to be located. Among the artifacts found at the site was a figure depicting the transformation of a man into a jaguar. After the area is protected against looting, scientists will study and catalog the ruins. Based on the volume of human-made artifacts discovered at the site, scientists believe that the lost city may be only one of several others. 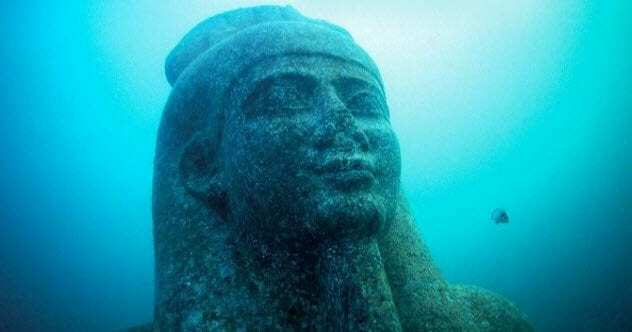 In 2000, the ancient Egyptian city of Thonis-Heracleion, know to the Greeks as Thonis, was found beneath the waves of the Mediterranean Sea, 6.5 kilometers (4 mi) off the coast of Egypt in the western part of the Aboukir Bay. Before its discovery, the city was known only by allusions in classical texts and a few inscriptions. Franck Goddio and his team from the European Institute for Underwater Archaeology (IEASM) located the lost underwater city and mapped part of the ruins. Scientists believe that the city sank under its own weight due to a volcano, flood, tidal wave, or other cataclysmic event that may have liquefied the clay soil upon which the city once stood. Videos and still photographs show some of the astonishing artifacts discovered at the site. The artifacts include the remains of 64 ships, gold coins, statues as tall as 5 meters (16 ft), stone slabs with inscriptions in ancient Egyptian and ancient Greek, small limestone sarcophagi that may have once held mummified animals, and more than 700 anchors from ships. It might seem difficult to lose a spaceship, but NASA managed to do just that. After two years spent hunting for the STEREO-B satellite, which was monitoring the Sun with its STEREO-A counterpart, NASA finally made contact with the missing spaceship in August 2016. 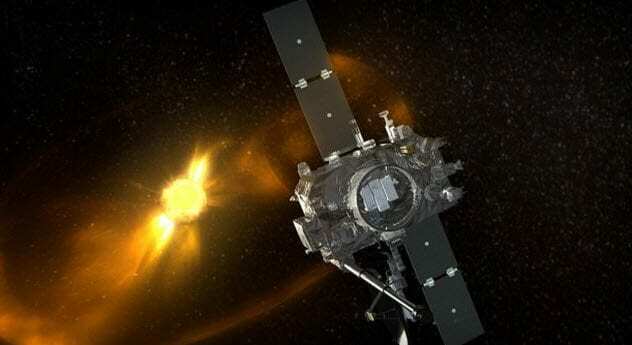 STEREO-B lost contact with NASA for three months while it orbited the far side of the Sun. Having anticipated this, NASA equipped the satellite with a fail-safe to reset its system if no contact was made for 72 hours. Once the errant STEREO-B was located, NASA shut down its batteries. The space agency hopes to recover the satellite. But that can’t happen before 2019 because the spaceship’s rotational speed must first be determined and the Hubble telescope may need to be brought into play. Gary Pullman lives south of Area 51, which, according to his family and friends, explains “a lot.” His 2016 urban fantasy novel, A Whole World Full of Hurt, available on Amazon.com, was published by The Wild Rose Press. An instructor at the University of Nevada, Las Vegas, he writes several blogs, including Chillers and Thrillers: A Blog on the Theory and Practice of Writing Horror Fiction and Nightmare Novels and Other Tales of Terror.